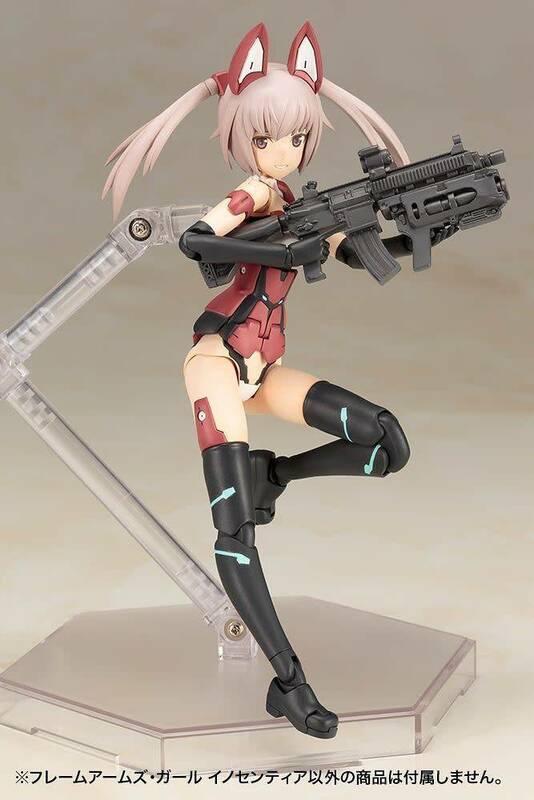 Kotobukiya's spin-off series "Frame Arms Girl" is based on their original robot contents "Frame Arms"! 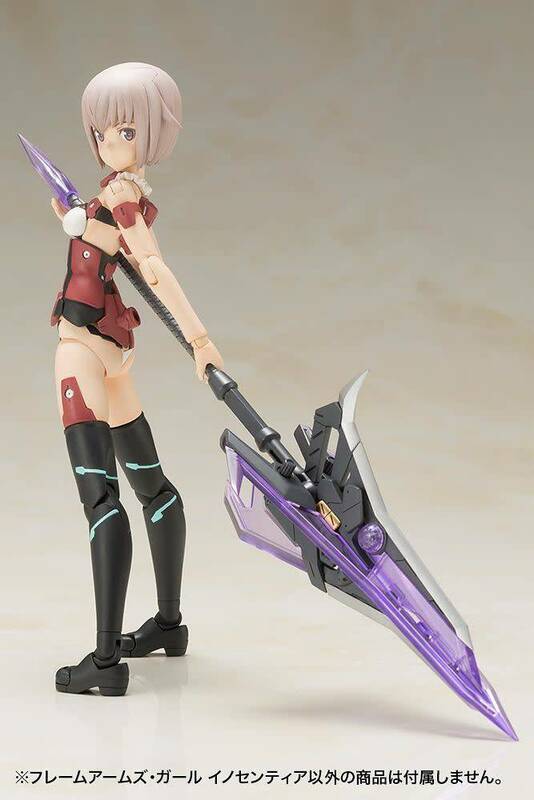 The latest release is Innocentia! The chest is sculpted according to the new design. The expression parts are newly sculpted. 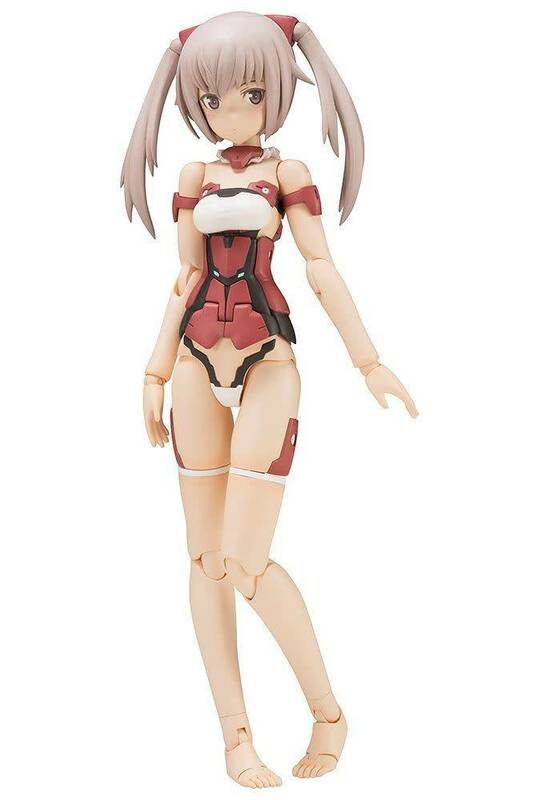 It comes with 3 types: "normal face facing forward," "normal face facing left," "smiling face facing right." 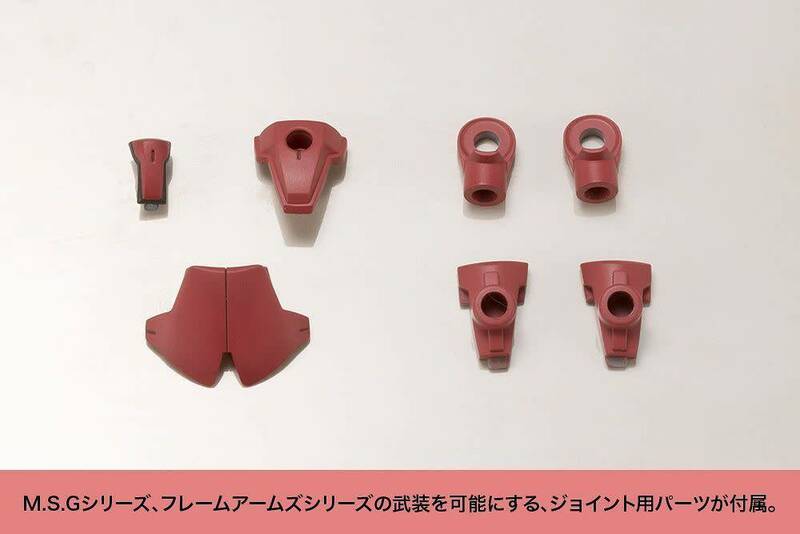 The expression parts are pre-painted, allowing you to obtain a look close to the setting by just assembling the product. The front hair can be exchanged between "normal front hair" and "front hair with joint." 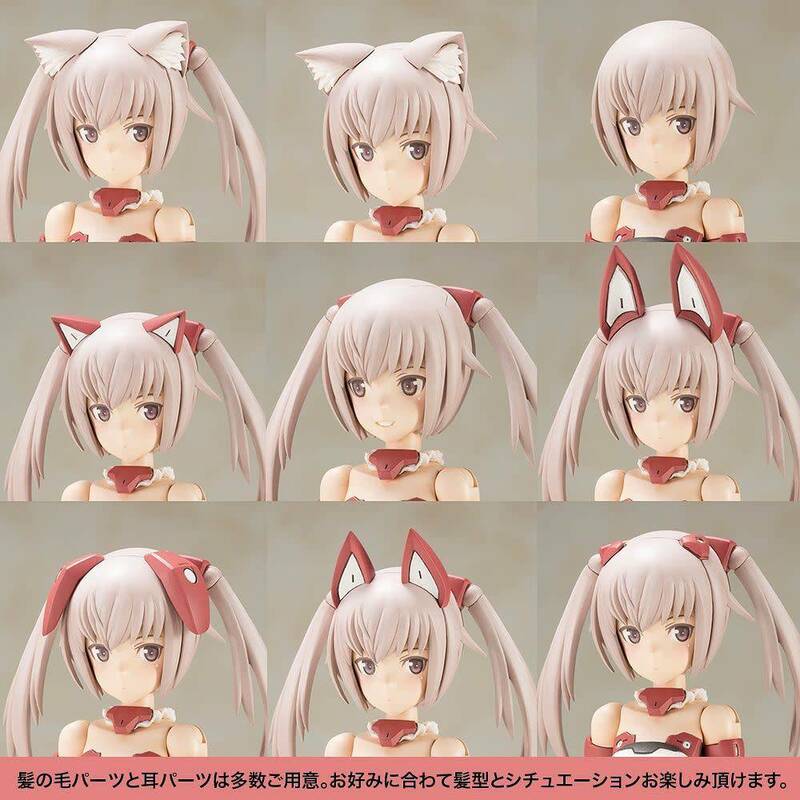 The hair on the back of the head can be chosen between "normal short hair" and "side twin tail." 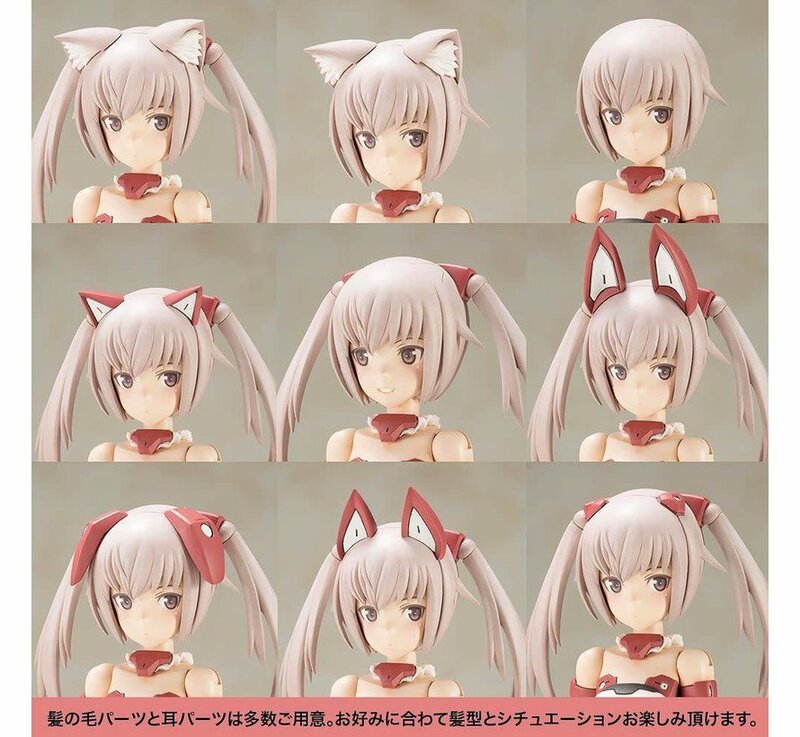 Many different types of ears can be chosen: "cat ears," "mecha ears," "mecha fox ears," "mecha standing dog ears," "mecha sagging dog ears," "mecha accessories." 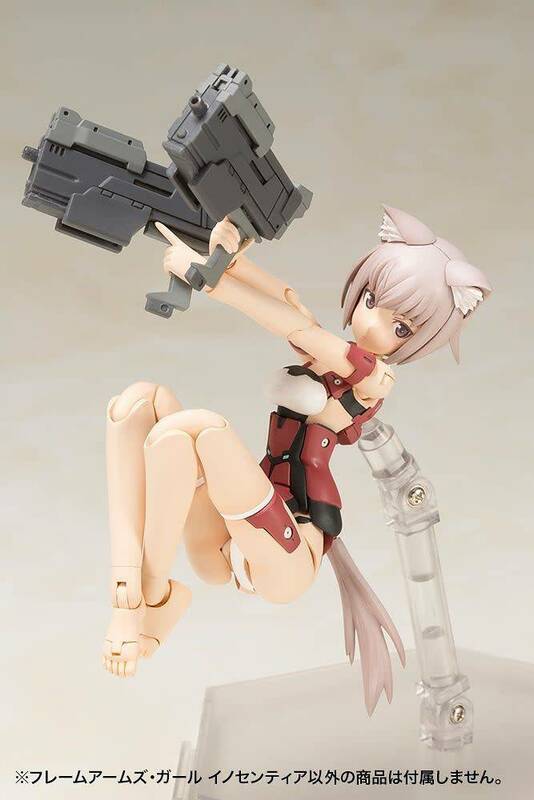 "Bare skin arms" and "bare skin legs" are included, making the product even more useful as "base body." 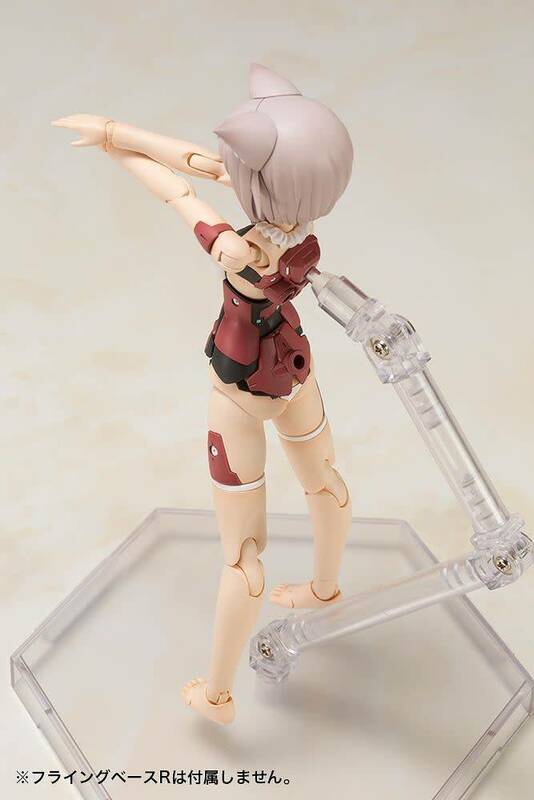 "Bare skin arms" and "bare skin legs" are newly sculpted, therefore their shape is different than Materia arms and legs. The thigh ring for the "bare skin legs" is available in both a white and a skin color type. 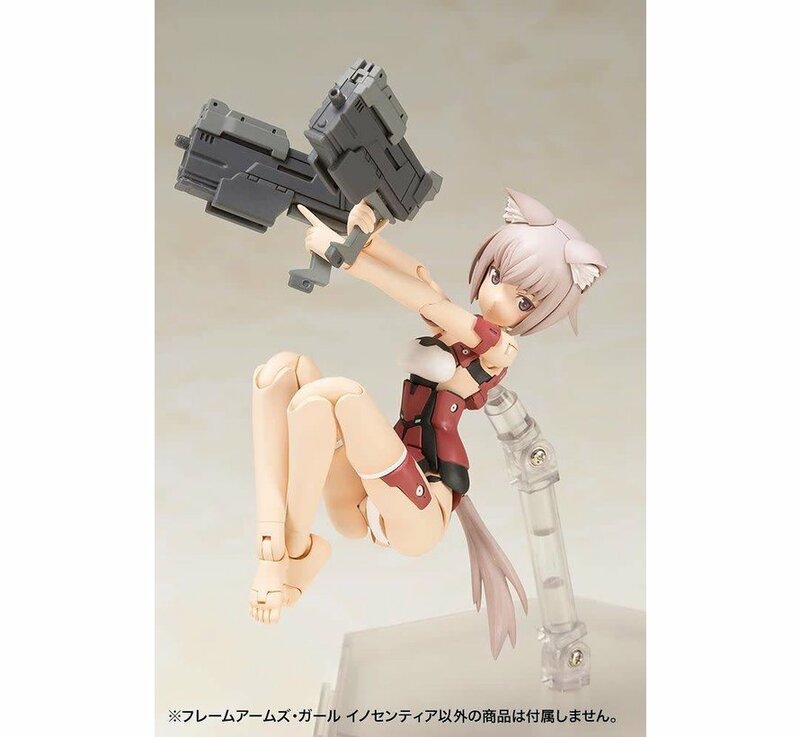 Materia arms and legs parts in black mold color are also included. 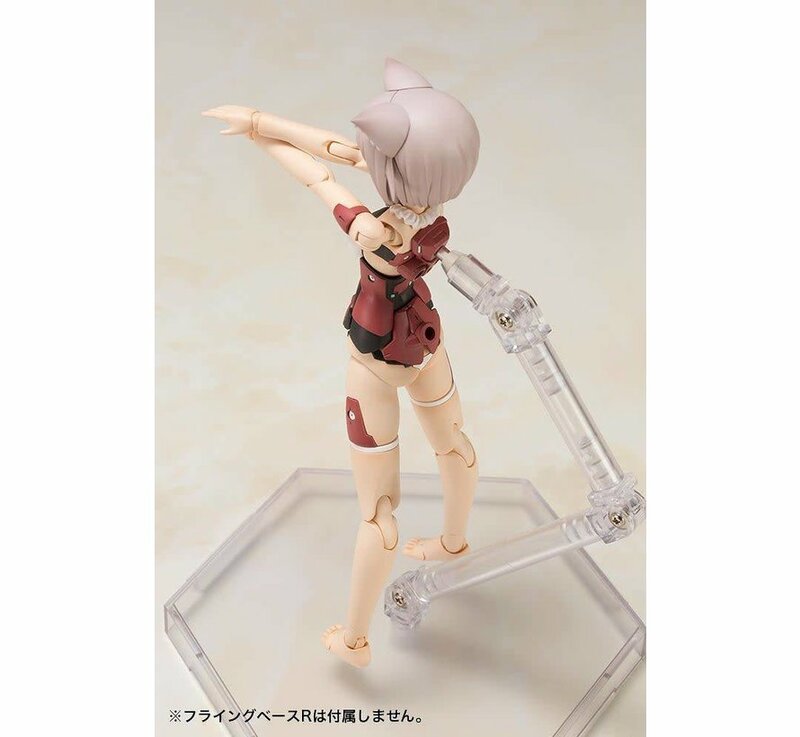 The shoulder joints of the trunk have a new structure that increases posability enough that you can make the figure cross her arms. 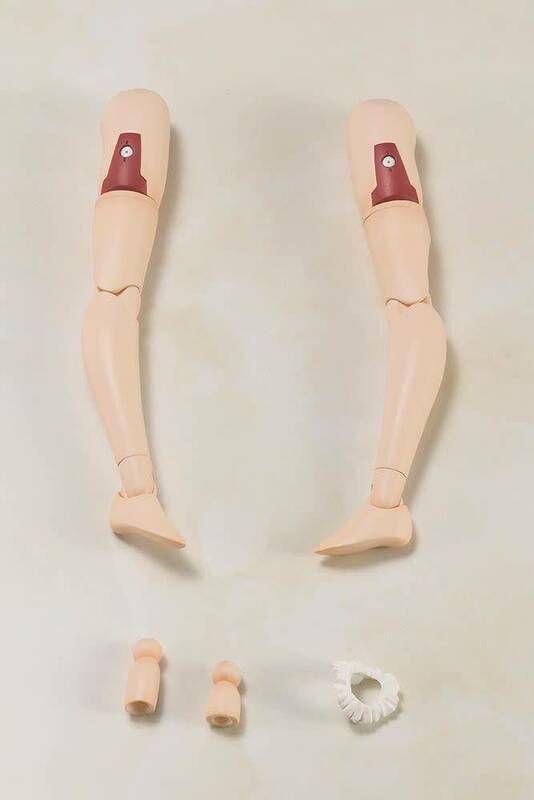 2 types of neck parts are included: one with normal length and a longer one compatible with doll clothes. Feet are also available in 2 different types: normal bare feet and bare feet compatible with doll shoes. 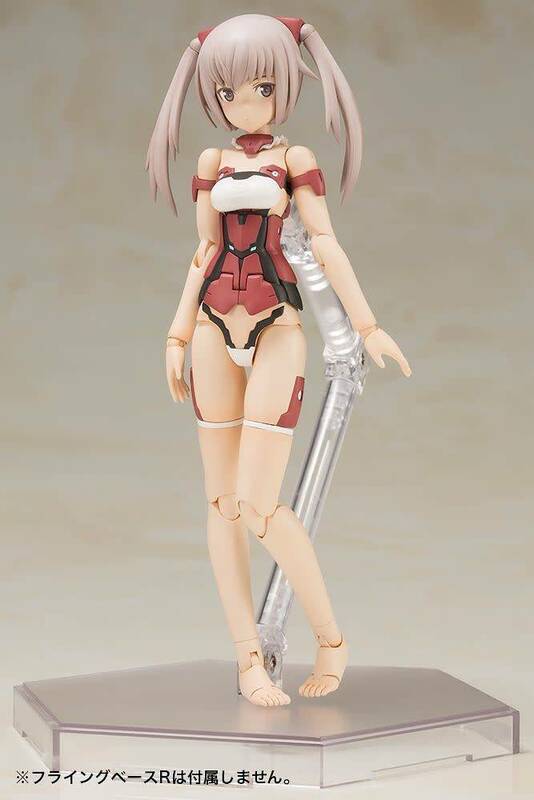 Neck frills are available in 2 types: with armor and without armor. 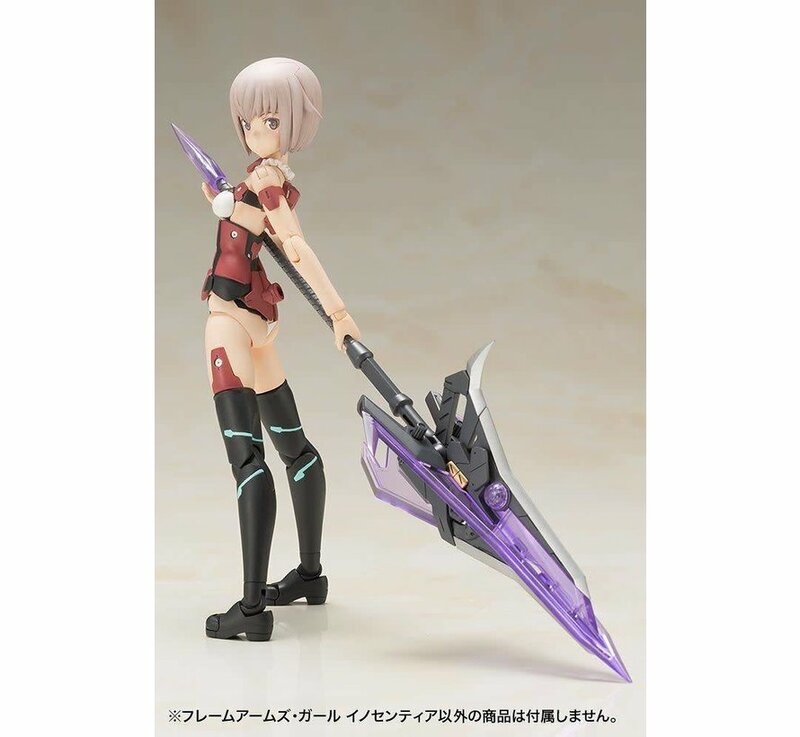 The back part is available in 2 types: with 3 holes (new type) and with 1 hole like the Materia. 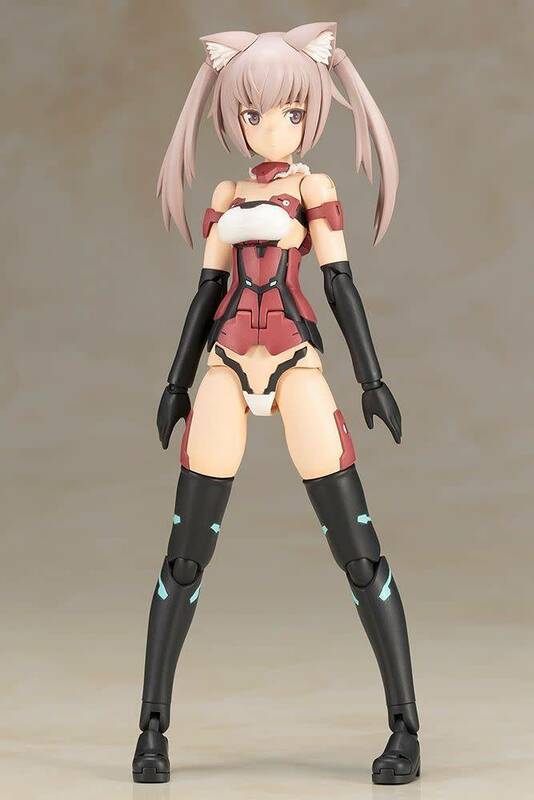 The armor on the waist is also available in a new version with 1 hole and like the Materia with no holes. 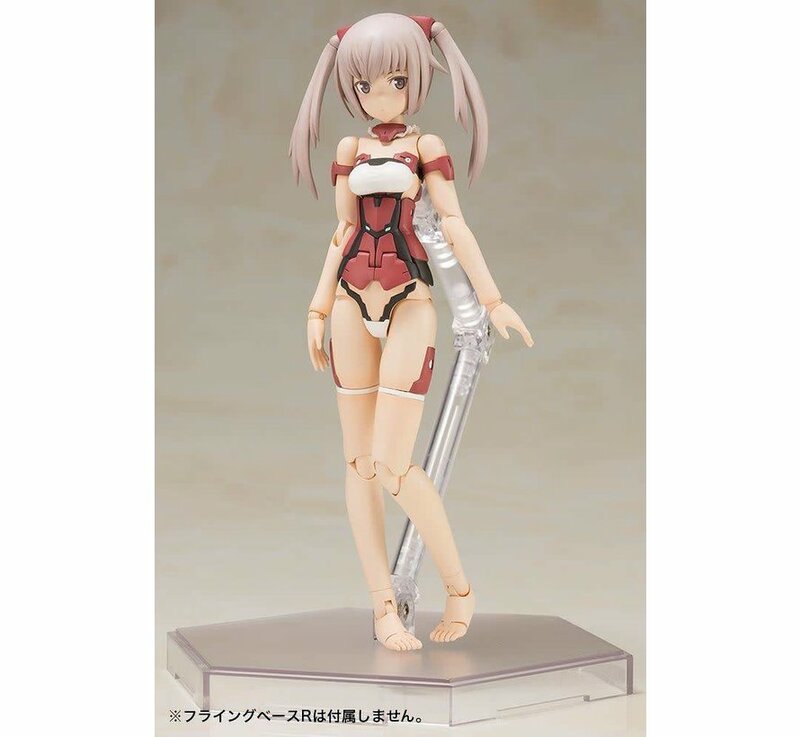 By combining the swing articulation of the waist joint and the slide articulation of the hip joint, the posability has been greatly improved, allowing you to position the figure crossing her legs. 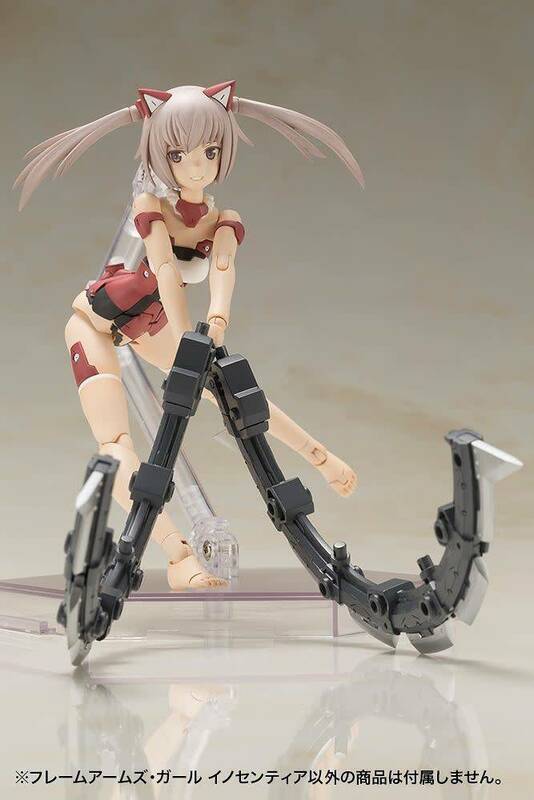 The hands use ball joints that make it possible to put them in various different poses. PVC hands are available in 5 bare skin types and 5 black types (both left & right). 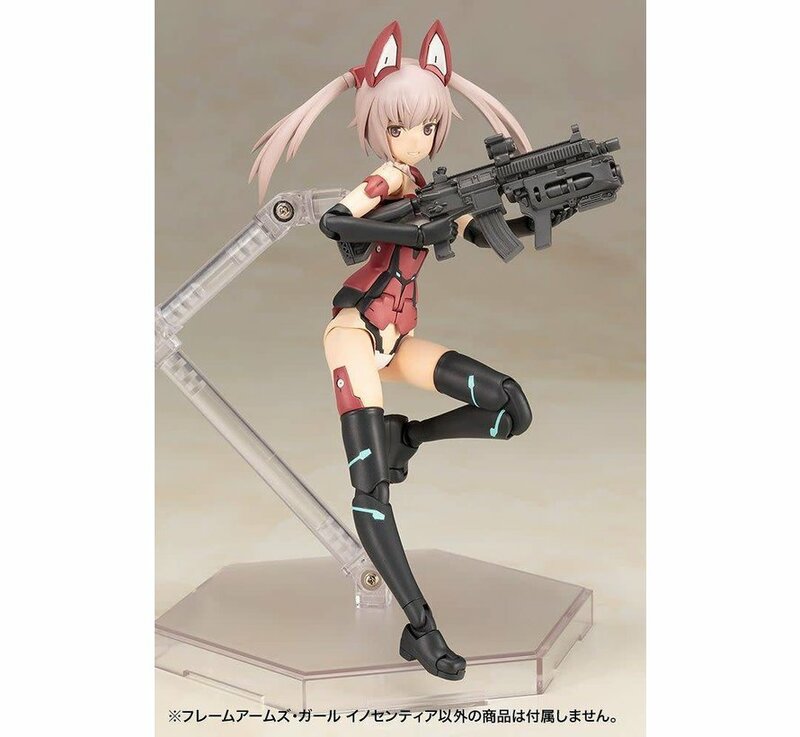 (The shape of the black and skin-colored hands is the same) The hands, including joints, are compatible and exchangeable with existing products of the Frame Arms Girl series. 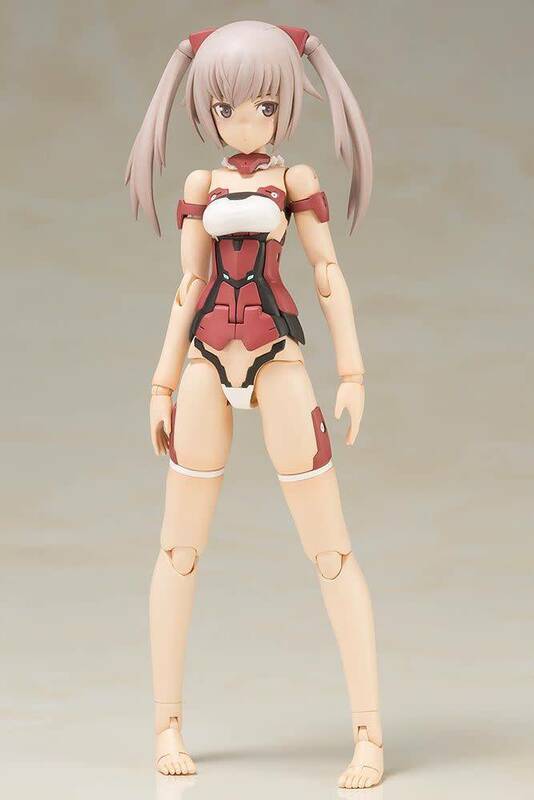 Decals for the eyes and other parts are included. 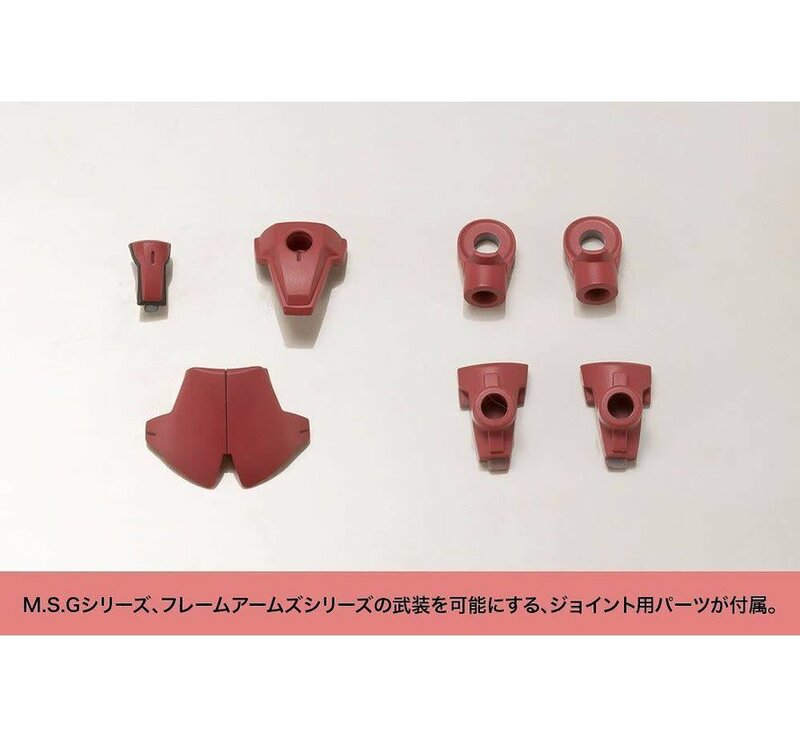 By exchanging the arm and thigh armor with parts for joints, it's possible to add 3mm holes, allowing the figure to be equipped with weapons of the existing M.S.G series and Frame Arms series.